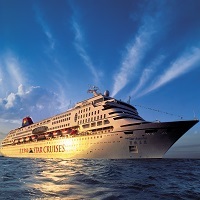 Embarking on a voyage of a cruise is the most amazing thing you can ever plan as a part of your holiday. If you want to opt for trusted cruise services, then Palash Travels is the most preferred name in Siliguri (West Bengal, India). We are capable of arranging a cruise voyage as per the preference of our clients. We make sure that you would enjoy the most comfortable cruise journey with us and for ensuring this; we make sure that our cruise is supplied with all required amenities. We conduct cruise service in Singapore, Hong Kong, Europe and US region.